The Library of Congress are no longer a band anymore, but they once hailed from the wonderful town of Glen Rock, New Jersey. Before bands like Titus Andronicus, Real Estate, and Ducktails (all from NJ), the Library of Congress had formed while all the band members of those bands were still enjoying their days in high school together. The line-up for the Library of Congress consisted of Andrew Cedermark on guitar and lead vocals, Kyle Cedermark on drums, Martin Courtney IV on bass guitar and vocals, Patrick Stickles on guitar and vocals, Sarim Al-Rawi on guitar, and Matt Miller on keyboards. Some of these names might be strikingly familiar to you, mainly because they’re the members of the bands that have been getting all the attention lately. 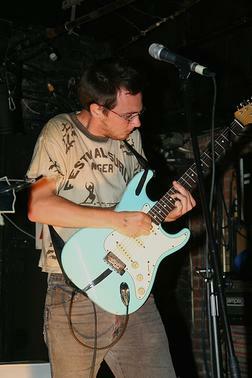 Martin Courtney IV is now the lead singer and guitarist of Real Estate, while Patrick Stickles is the lead singer and guitarist of Titus Andronicus. Andrew Cedermark also spent some time playing in Titus Andronicus, and he also releases solo material on the Underwater Peoples label, check him out here. As far as this release from the Library of Congress goes, I don’t really have any information on it. I’m not even sure if the name of the album is “Pure White Love”, I’m just using that for blog-writing purposes. [ EDIT: I have been informed that the name of this album is “Selected Writings on the Human Condition”. Thought you might like to know that. ] The most I can tell you is that their name was once “Seizing Elian”, and throughout their time as a band, Andrew Cedermark was the lead singer. I don’t know what year the album was released, what label put it out, or where you can buy it, but I can tell you that it is worth your time, especially if you’re even the slightest fan of any of those bands I listed earlier. It gives you insight to their earlier days of music before they’re bigger, more popular bands emerged, and it shows you how each band went in their own, unique direction. Real Estate took the more polished poppy psychedelic route while Titus Andronicus took the rugged dirt path to ramshackle punk rock. If there is anything worth telling you readers, it’s the fact that there is a song on this album called “Albert Camus” which is an earlier version of Titus Andronicus’ album closer from “The Airing of Grievances”. Exciting! Posted on February 9, 2010 February 6, 2012 by styrofoamdronePosted in LP, ReviewsTagged alternative, indie rock, rock. Can’t remember the actual name of the album (if there is one) cause my just says Unknown with a date next to it. BUTTTT… Library of Congress was when they were in their freshman year of college, not High School. Since Andrew only went to Drew University, and Patrick went to Ramapo College of NJ, they were all able to get together and form this fantastic band. But when Andrew decided to transfer to UVA, they disbanded. This album is truly one of my all time favorite albums…I especially love listening to it in the summer. Anyway, thought you might like to know that little fact! Either way, it’s a fantastic album. also one of my very favorite records. Really? I’ve been trying to find this out since I posted this. How on Earth did you figure this out? Anyone know what year this was released? I’m pretty sure September of 2004. 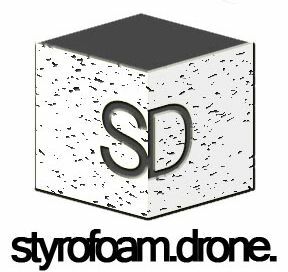 You you should make changes to the webpage title Library of Congress â€“ Selected Writings on the HumanÂ Condition | The Styrofoam Drone to something more specific for your content you make. I enjoyed the post still.